Cleantech Invest portfolio firm Nuuka Solutions has signed an agreement with LähiTapiola Real Estate Asset Management to further improve the innovations in LähiTapiola´s Espoo Campus and Ainoa commercial center in the Espoo region. Cleantech Invest owns 34% of Nuuka. The Espoo Campus is a 71 500 square meter building with 2 500 data points connected to Nuuka’s Connect and Create platform; and Ainoa 1 is a 17 000 square meter commercial center with 700 data points connected to Nuuka. The goal of the co-operation is to make LähiTapiola´s buildings even more efficient, sustainable, innovative and great places to work. By utilizing Nuuka’s software LähiTapiola can optimize their air ventilation units in a way that indoor air quality is improved. The HVAC process data from the building automation system can also be used in machine learning models to automate the process optimization. Nuuka helps to optimize the HVAC processes to work as efficiently as possible in the building. This results in better indoor air quality as well as lower energy and operating costs. Additionally, Nuuka’s building automation system integration knowledge plays important role when exploring possibilities to use LähiTapiola’s properties as virtual power plants for the use of demand-side management in the future. LocalTapiola Real Estate Ltd is engaged in private equity fund management and relating guidance and consultancy. Assets under management are approximately €3 billion. By combining the powerful data aggregation and analytics capability of Nuuka’s Connect & Create Solution and the potential of LähiTapiola’s significant real estate holdings, significant efficiencies can be found with environmental impact and savings for customers. When Nuuka’s Connect & Create Solution is used in larger portfolios like LähiTapiola’s, real value can be created and real estate portfolio managers can ensure they meet the ever more stringent environmental and sustainability demands. 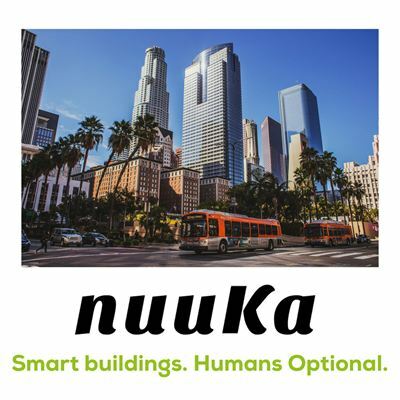 Nuuka’s Connect & Create Solution makes buildings a great place to work and live in, become more sustainable and more productive. Nuuka is a leading building big data analytics solution provider headquartered in Finland. Our SaaS based software consolidates existing building big data into one single user interface and helps building owners and users not only report but also analyze and understand the core reasons behind energy efficiency, good indoor air and sustainability. Nuuka empowers the users and brings building big data into the hands of building users and owners, enabling better building management and increased property value. LocalTapiola Real Estate Ltd is engaged in private equity fund management and relating guidance and consultancy. Assets under management are €3.2 billion. The company was founded 2007 and is owned by LähiTapiola Keskinäinen Vakuutusyhtiö and LähiTapiola Keskinäinen Henkivakuutusyhtiö.